Irish students of town (urban) or country (rural) planning receive an education almost evangelical in pushing concepts such as high density development, liveable streets, sustainable development, mixed use development, with public transport, walking and cycling the only acceptable modes of transport. 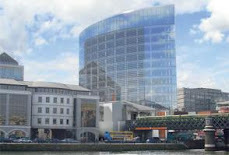 Proposals such as College Green Plaza (to create a liveable city) and the Tara Street tower (to create high density employment alongside public transport) are the most recent examples of developments favoured in principle by this planning philosophy, but opposed in practice by established uses, users and interest groups. Planning students starting work in local authorities are often shocked by the focus on planning applications (the assessment of development proposals) relative to the small time spent on forward planning (creating Local Area Plans, Development Plans, Strategic Development Zones, etc.). When I was a planning student, no time was spent teaching anyone how to assess a planning application; most time was spent on plan-making and teaching students about the many component parts that make up planning (design, transport, environment, landscape, heritage, drainage, etc.). Realising how life is to become a factory line of planning application after planning application is a hard lesson for many planners. It’s like an architect finding out he / she will almost only ever get to review the work of others, not produce their own designs. By the time many planners get to work in forward planning (f they get there at all) – to do the type of planning that attracted them to the discipline in the first place, they are often worn out and somewhat de-skilled by having spent so much time assessing planning applications and too little time thinking about policy and forward planning. It wasn’t meant to be this way. Planners, like many others, would like this to be different. The learned aspirations of planners get worn down by those who do not share those aspirations. Planners are only too aware of all of the planning problems facing Ireland. For example, Dublin, like all Irish cities, continues to grow on its periphery; a periphery that expands every time a new road is built allowing commuters to travel to Dublin from further away. We seem unable to address the planning and transportation mistakes of the past. Planners know this, but how can they try to fix it when the solutions they are taught in college are so hard to implement in practice and when their day to day work is primarily focused on making sure new development fits into the pattern of existing development? Even when planners try to help, they can get it wrong or find that the type of planning approach they are required to implement does not help. For example, almost everywhere one looks there are problems arising from over-dependence for decades on zoning areas for development without remembering how neighbourhoods, villages, towns and cities were created organically, in most cases, from mixed use development. We now have myriad enclaves of various types of retail, commercial, industrial development, etc. whose work forces live long distances away, but who are poorly served by over-investment in road infrastructure and under-investment in public transport and cycle infrastructure. Existing ‘and’ new communities are heavily car dependant. Each year we build more housing estates in locations poorly served by public transport. Each year those living in commuter belts become more cynical about planning; yet, when opportunities arise for higher density development at the right locations (beside public transport, etc. ), it is regularly opposed. Irish people want to live closer to jobs, yet still want a three bedroom semi-detached house. God forbid anyone could consider an apartment for life. Why, in cumulative terms, do we manage to train our planners along the same principles espoused by planners in the Netherlands, Denmark and other countries whose cities we admire, but then fail year after year to support those planners when they try to implement policies and make planning decisions that would align us with those countries and cities? Why do local authorities – councillors, management and planners fail to implement sustainable planning policies? Even when development on greenfield sites is being planned? How is it that a new neighbourhood in Amsterdam will be planned including putting in all infrastructure and public transport provision ‘before’ any commercial development (including housing) is constructed? But in Ireland we will repeatedly grant planning permission for housing schemes poorly served by public transport, cycle lanes and pedestrian facilities? Housing crisis after crisis seems able to derail real attempts to stem the tide of car-dependent neighbourhoods. The principle seems to be ‘some houses without adequate infrastructure provision are better than not enough houses’. The irony here is how planning and planners get blamed for every problem arising in how our built environment works. The following points set out, in simple terms, why Irish planning struggles to move forward. Critically, when reflecting on planning issues, it is easy to forget how planners are not the only ones involved: local authority management, councillors, developers, government departments, semi-state bodies, public and private engineers (transport, water, drainage, etc. ), architects, urban designers, landscape professionals, arborists, interest groups, private observers, etc. all play a role in Irish planning and why it is the way it is today. Everyone involved in the planning process must take some responsibility for the role they play. For example, it is developers who pay a team of professionals to put proposals together. It is therefore not surprising that the positives are emphasised and the negatives can almost always be overcome (if only planning permission is granted). This is obvious, but they are also less obvious ways in which the planning processes goals can be thwarted. The Mahon Tribunal (https://planningtribunal.ie/) showed how planning can fail when one group has more power and influence than other interests. This is no longer, in my experience, the proverbial ‘brown bag’ full of cash. Instead, it is simply a fact that a large organisation, company, large property owner, well resourced stakeholder, etc. will be obtain access to planners and councillors in a way that an individual may not be able to. For example, as with why Wesley College is better able to access national sports grants, so it is with the planning system. There are many hoops to jump through to take part in the drafting of a a Development Plan, Strategic Development Zone, a Local Area Plan, etc. There are also many stages in drawing together a planning application in consultation with local authority planners, engineers, etc. and other bodies such as Irish Water, etc. Unless you know what you are doing, it is easy to feel excluded or sidelined from the planning system. Many come away feeling it is biased towards development interests. The truth is, those with the resources have the time and the expertise to do everything right. They make the submission on the right date. They contact the right person in the right way at the right time. They do all this with the help of professionals who do this work all the time – often they hire private planning consultants who talk the same language as the planners in a local authority. Compared to this, residents and community organisations are at a disadvantage. They often work on a volunteer basis with little time and resources. This resource imbalance damages public trust in the planning process, leading to the belief that something is wrong with what planners do, not that this is the way society is structured. Wesley College won the grant because they had the time and expertise that other communities do not have. They didn’t do anything wrong. During planning processes as currently structured, it is obvious – though most find it controversial – that the main player(s) in any planning proposal will get early and more access to those planners who will decide to allow or not to allow it to proceed. When an individual, group or community find out a proposal is being made that they are opposed to, they are often shocked and appalled to find out that their local authority has known about it for some time. This shouldn’t come as any surprise. A planning application may be the result of years of consultation work between local authority and applicant/developer. The work on a single project may have started years before with initial discussions with a local authority on its plans for a given area owned by the applicant. The land owner will then seek to have their lands zoned / designated in a Local Area Plan or County Development Plan in a manner that is in line with those plans. Once zoned and defined by site specific planning policy objectives, an applicant’s team of architect, engineers, etc. will then begin pre-planning discussions with all sections of the local authority and any other relevant bodies. By the time a planning application is made, there can have been considerable work undertaken to reach a point where the proposal is acceptable to the local authority’s planners. But this comes as news to those who are suddenly presented with a planning proposal to which they are opposed. They can feel as though the entire system is against them; that the planners are dancing to the developer’s tune. But, in fact, planning is meant to guide development, not prevent it. Planners are just doing their job. It doesn’t mean the planning application will be granted. All of this pre-planning consultation is carried out on a ‘without prejudice’ basis. In other words, planners will try to ensure a proposal is planning compliant as it progresses through the process, but if areas of non-compliance merge, the planning application may be refused. Without understanding these planning processes, it can be natural to believe landowners and/or developers are leading the development of our urban areas. This view may not be correct but there are a number of reasons why the Irish public and media often hold this view. The decisions of councillors to zone and/or change the zoning of lands can sometimes be hard to understand – even for the planners who present the options to the councillors. It doesn’t have to mean there is corruption, just that there are politics at play in the system that mean that such decisions are not made wholly on their planning merits. In the current housing crisis, the councillors from an area may decide to re-zone land from other uses to housing in the hope that more houses will be delivered in an area. This may not be the right planning decision, though it might contribute to addressing housing demand. Short term thinking is however generally not compatible with good planning. The critical need is for both councillors and planners to understand the imbalances inherent in the system and to try to address the arising implications in their day to day work. For example, An Bord Pleanalá Inspectors need to accept and understand that an individual or community cannot employ the type of experts that an applicant can. When assessing large schemes such as Dart Underground, Luas and Metro North, there has been a tendency for applicant teams to overwhelm individuals and communities with technical detail backed by expensive experts whose presentations are guided by senior barristers. Planning Inspectors have a duty to ensure individuals and communities are not disregarded just because they couldn’t afford a noise, vibration, traffic, construction, etc. specialist or because they did not have the time/resources to attend the full hearing. There is no level playing field and planners should not pretend there is one. Individuals and communities should not have their views disregarded as they are not the views of an expert. It is the planner’s job to independently assess expert opinion from all perspectives – not just to believe an applicant funded expert because he/or she has a doctorate and years of experience in their field. Court cases often have similarly qualified experts on both sides of the argument. Planning must similarly recognise that experts can be hired to make or break a case. Again, pretending that there is a single expert opinion that should be accepted is nonsense. Planners must fully interrogate technical opinions. § Planning authorities produce Development Plans and Local Area Plans that will have significant and material consequences for counties, cities, towns, villages, etc. The consultation undertaken with the public is inadequate. Those drafting the plans often set out their proposals in places like libraries and wonder why no one turns up to comment. A few public meetings may be held, but people don’t know why they should attend. Could leaflets not be dropped to every household in the county when a new Development Plan is being drafted? Would this not be better, cheaper and more likely to be read than newspaper adverts? There is a need to better publicise the consultation processes involved in the production of plans. Summaries of plans should clearly set out their most significant proposals, i.e. it should be clear why this County Development Plan differs from the previous County Development Plan, though they may look identical at first glance. For example, if an area is to be zoned for high density housing but is currently zoned low density, this should be made clear. The process through which applicants/developers – like anyone else - make submissions, and all deadlines, should be clearly set out and all such submissions made available online in an easily accessible manner (to anyone: not just to those who know where to look). § Planning authorities shouldn’t pretend that the developer/applicant can carry out pre-planning consultation for them. For example, don’t rely on developers/applicants to undertake consultation with individuals and communities before lodging a planning application to a local authority or the Board. This is not, in my experience, that helpful, as, not only is it hit and miss (and often just paying lip service to “pre-planning”), the developer/applicant usually presents a scheme at public presentations which is so well developed that consultation is pointless. Any feedback given is called pre-planning feedback and is addressed by way of setting out reasons why the changes cannot be made. Only feedback from a local authority or the Board can usually force changes during and after pre-planning feedback is given. What should be done to keep local communities abreast of what they often view to be sinister agreements being made between planners and developers? 1. The public should continue to be provided with adequate opportunities to, for example, take part in the planning application process at a local level, not have these opportunities further diminished by more and more planning applications proceeding directly to An Bord Pleanála, thereby avoiding full assessment by a local authority planning department and removing the principle of a planning appeal in such cases. 2. Pre-planning could and should involve the public. The assessment of many planning applications no longer starts on the day they are formally submitted. Consideration should be given to requiring developers / applicants who wish to undertake pre-planning consultation with a local authority, to advertise this fact by way of site notice(s) and a newspaper notice. Local authorities should make available, on a public pre-planning file, the plans and details being discussed and their response(s) to these. Third parties should be allowed to comment at pre-planning stage by all means and these should also be recorded on the pre-planning file. Such comments would inform pre-planning feedback to the developer/applicant. Pre-planning it important, but as things stand, it is absent of community involvement. Planners see themselves as representing the entire community, when this cannot, of course be the case. 3. At present, it is not clear who decides if a pre-planning meeting or communication is to be “confidential”. The public should be clear under what circumstances discussions with a developer/applicant will be kept confidential. 4. Pre-planning discussions and records of those discussions should be made available on the public pre-planning file. Without this, planning application processes will always be criticised as lacking transparency. It is not enough to type up a few notes as a formal record of a pre-planning meeting and keep (nobody else knows about these until a planning application is lodged) record of such meetings. 5. All emails, phone calls and other communication between the applicant and the planning department and between any other party and the planning department in respect of a project should be recorded on planning files. This would include any representations made on the applicant’s behalf by elected reps or anyone else. There are many other ways improvements could be made. Planning has been done in a certain way for decades. Staff in planning departments are used to assessing planning applications according to a given set of policies and standards. These policies and standards can be hard to change. For example, those in cycle lobby groups get frustrated because so much road space in cities continues to be given to the car when all evidence indicates that more sustainable transport modes including cycling should be prioritised instead. This frustration is understandable, planning applications for inner-city schemes still arrive accompanied by traffic assessments whose purpose is to ensure the proposal does not interfere with the efficient flow of vehicles but which fail to reflect the need to reduce vehicles and vehicular trips in the city in favour of healthier (less pollution), more liveable and economically sustainable alternatives such as train, tram, bus, bike and walking. There is a need to make sure all of our plans – national, regional, county and local – are evidence-based and contain the latest standards when it comes to architecture, building standards, urban design, transport, drainage, etc. It can however he hard for old dogs to learn new tricks. Another example is our apartment guidelines. We want people to live in urban areas, especially in inner-cities and beside public transport nodes. We want to create neighbourhoods and communities of individuals and families who can permanently live in these areas. If we want to achieve this we need to ensure apartments are of a standard and size that encourages people to live in them as a permanent home. If we lower quality standards and make minimum apartment sizes too small, then few would choose to live in them permanently; instead they will aspire to living somewhere else what can provide bigger and better homes in established non-transient communities. Our thinking on this issue should be long term and not short term; however, Irish planners have grown up in and worked in an Ireland where apartments are seen as and planned as short term and inadequate. In this way policy is out of step with the evidence-based policy need. Planning has managed, since, 1964 when the first Planning Act became law, to cease control of almost all development and the use of all land and property in Ireland. With plans and maps, you must now ask planners for permission to do things with your land and property. This power, now in the hands of planners, comes with a good deal of responsibility. The problem is that while planners are trained to understand the planning system and then gain experience within that system through work, those they come into contact with – the public, councillors, etc. – are almost always less informed. This means planners can may produce plans that not everyone understands based on various planning factors that not everyone understands. Planners constantly find themselves explaining the planning system, rather than the plan or the planning application. Planners must understand all applicable planning legislation, regulations, case law, statutory guidelines, guidelines and the existing tier of national development plan, national framework plan, regional plans and local plans. Planners must also understand how the planning system works in local authorities and at An Bord Pleanála level. There is much to the planning system. If the public and the councillors they represent don’t fully understand planning, it means areas of planning that involve them will not function as they should in a democracy. - Planners are criticised for plan policies which everyone agrees with in principle but often do not want in their immediate area, e.g. those applying to windfarms. - Planners want less road space given to cars and more to buses, trams, bikes and pedestrians. This is because the more road space cars are given, the more congestion which arises as people choose to drive. People in cars resent bus lanes and cycle lanes as they wrongly perceive that an extra traffic lame would reduce congestion. - People living in low density housing near a train station are pleased with this arrangement: great quality of life and access to public transport. The problem is that this is at the expense of all those having to travel further to get to the train station and those forced to choose the car over the train. Planners want high density development at train stations to make best use of public transport. Public opinion is often different to the evidence-based policies planners are pursuing. It can be influenced by single issue lobby groups, media coverage, mis-information and by long established views. But it is public opinion that councillors must listen to in order to be re-elected. They may take positions on planning issues that are not evidence-based. How do planners address this? I think planners can often feel like those who opposed smoking during its peak. The attitude can be ‘we know what’s right for you even if you don’t know yourself’. Planners taking the ‘we’ll consult them about what they think should be done and then when they don’t give us the answer we want, we’ll do the right thing for them’. In some ways this is understandable. Planners possess knowledge and experience non-planners don’t have, they have developed positions on most planning issues and they work within a framework of plans and guidelines that contain policies that must be included in any plans they produce. In some areas consultation is pointless as entire areas, such as apartment standards, are subject to mandatory guidelines. Here is an example of a plan policy that most agree is needed but which communities struggle with. Say a development plan is produced which requires, in line with national guidelines and plans, higher density housing near public transport. Most people agree with this in principle. However, in recent years, in some areas, planning applications for high density development near public transport have been heavily opposed by existing communities shocked at these proposals. Take Foxrock in the leafy suburbs of Dun Laoghaire-Rathdown County Council. For decades it has been a low density leafy suburb containing some of the most expensive property in Ireland. When the M50 and a Luas stop were proposed which would serve the community, residents were pleased. They benefitted from both. However, this accessibility has changed how planners now view Foxrock. Now served by high quality public transport, planners are seeking, where appropriate, an increase in density on large residential sites. Existing residents do not want this and feel the Development Plan should not allow this densification. Who is right? Planners are trained to seek high density development near public transport to reduce car usage and to create more sustainable communities, but this often means changing existing communities with their own established views on how that community should develop in the future. What can planners do to help people understand what they are trying to do? And, if they do try to do this, would it make any difference? Are people just change-averse? I think all planners can do is try. They must try to explain during the drafting of development plans and local area plans exactly what the vision of those plans are and what the policies contained in each will mean once planning applications start being lodged. The pros and cons should be clear. The concerns people have should not be dismissed but examined and answers given. Councillors must then vote to agree or disagree with plan policies. Once those plan policies are in place, planners should not be criticised for merely being the ones tasked with deciding if proposals comply or do not comply with those policies. The problem is that time and again, communities do not understand and the councillors who represent them did not understand the ramifications of planning policies they have agreed to. Take another example. If planning rules around building houses in rear gardens of existing houses change during the drafting of a development plan, but few people in the community realised this, they can be shocked when their neighbour lodges a planning application for a new house beside their back garden. But the problem is not the planning application; it is that they did not take part in the planning process around a new development plan because they didn’t understand they needed to and planners did not try to consult with every household in the county. There are real difficulties around how best to involve the community in what is a very detailed two year drafting process for a development plan; but I think the work would be worth doing. Planners need to go out in into the community to consult on their plans, not wait for the community to come to them. Those carrying out surveys don’t just issue them and then wait for people to fill them in; they have to work hard to get people to respond. This work should take place before a plan is drafted. Planners should not just provide a non-specific ‘Issues Paper’; they should instead provide a list of options for each of the significant policies to be contained in a plan. The plan making process should almost be a county-wide referendum on planning policies. The first draft of a plan should reflect what the community wants within the evidence-based options offered (many of which will be derived from national and regional plans and planning guidance issued from government departments). The content of the first draft should not be substantially drafted based on what the planning department thinks it should contain. Planners tend to consider public consultation to really get going once they have a draft plan for people to comment on. But this is really too late. A draft plan provides an opportunity for planners to explain their policy positions and outline supporting evidence, but by now the approach tends to be defend what has already been produced rather than to consider substantial revisions. For example, if Dublin City Council indicates locations for tall buildings in a Draft Plan and then the community disagrees with them, the city planners will have no difficulty batting away individual disagreements as they have already provided evidence-based justifications for their decisions. The possible locations of tall buildings should have been the subject of early stage detailed work with communities in those areas where tall buildings were being considered. These consultations should have informed the choices made by the planners, but this is not usually how it works. It should come as no surprise then that when tall buildings such as that proposed at Tara Street are refused notwithstanding the proposed height was in line with Dublin City Council’s plans including the local area plan for that location. The decision to consider a tall building at that location should have been the subject of better and more informed public consultation. Instead, both the community and the applicant / developer find themselves frustrated that the plans for the area are not achieving what they want. 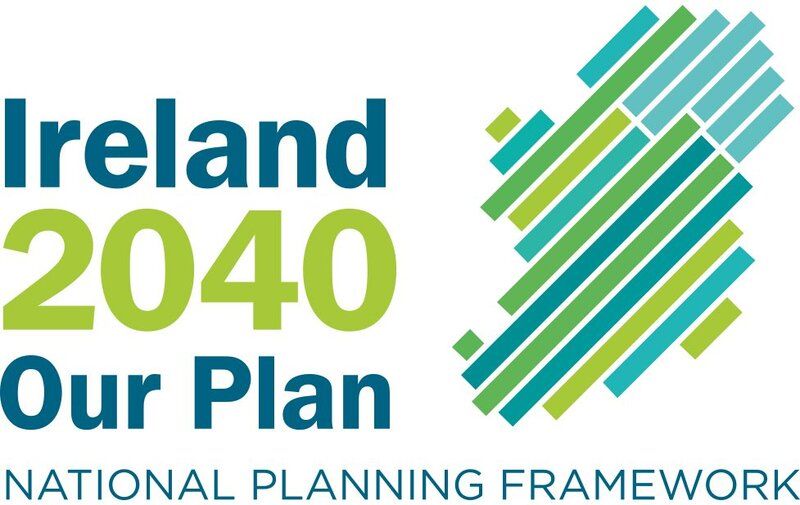 Planners, planning departments and the Irish Planning Institute could try to be more proactive in addressing misunderstandings associated with the planning and development process in Ireland. We live in an era where there is a YouTube video for everything; planners could create videos to explain planning processes including plan-making and planning application assessment. There is a need to move with the times and effectively communicate planning ideas and rationales to the community. Instead of producing an ‘Issues Paper’ at the start of the drafting process for all plans, planning departments could circulate a video on social media and provide links to online explanations of the options available to those drafting the plan. The options could be presented in a variation of a questionnaire format (e.g. do you think Dublin City Council should do x, y or z when it comes to a given planning issue?). It should be made easy to make electronic submissions. However plan ideas are presented, it should be visually appealing and accessible, not difficult to access, boring to review and difficult to make a response. Planners may argue that they offer public consultation events and public meetings. These tend to be very managed events; manage, that is, to avoid conflict when sensitive planning issues are discussed. It may be more effective to offer workshops on given planning issues. This would allow planners to set out why the plan is being produced and explain how the plan has been designed with the user in mind. This is not always the case. For example, Wicklow County Council sets out the chapters of its County Development Plan in a way that can be very hard to follow, even for a seasoned planner. It would help if all Development Plans followed the same structure such that relevant planning policies, development standards and zonings can be identified quickly and easily. Those wishing to know if a development is permitted on a site should quickly (and without confusion) be able to locate the zoning of the site, any characteristics of the site that may constrain development (protected structure status, in an Architectural Conservation Area, subject to listed views, beside a national monument, beside a environmentally important site, etc. ), applicable development standards (roads, parking, drainage, design, etc.). It would be very helpful to those with little understanding of planning, if an online Development Plan like Wicklow’s was, quite literally, a list of hyperlinks (e.g. someone should be able to carry out a map based site search and once at the site on a map be able to follow hyperlinks to all applicable Development Plan and other planning and environmental policies pertaining to that site). Instead, Wicklow’s, like most Development Plans, is produced as a large hard copy document with accompanying maps which are uploaded to the web to be accessed in those formats. All those producing plans should be required to translate the multiple and often hard to understand (or rationalise) land use zonings applicable to an area into easily understood language linked to explanations of those zonings. In some areas, even telling the difference between categories of zonings can be hard .The Dublin City Development Plan contains multiple ‘Z’ zonings in variations of purple that can be hard to identify one from another. It would be helpful if the entire country used the same zoning categories. Generalised zoning types have been developed for all local authorities in the country as part what is called ‘the Myplan project’ but it complements, rather than replaces, the existing statutory zoning used for each individual plan (this data is also available on the MyPlan map viewer at http://www.myplan.ie/viewer/). It would be helpful if the online zoning maps could be clicked and, at minimum, the correct zoning be identified with a further link to a description of what the zoning means and what development is allowed or not allowed in it. This would allow someone considering developing a site to immediately understand what the planning authority will consider as an acceptable form of development in principle on the site. Times have changed, people are now interested in what is happening around them. Everyone wants to understand what the plans for their area are. Finding out about these plans and taking part in their formulation should be made easy. While planners are gradually helping the public to understand their work, there are instances when planners themselves fail to follow best practices. Another big issue facing Irish planning is the need to be consistent in decision making. Once people know you are a planner, you are constantly asked to explain planning decisions which seem at odds with other planning decisions. Planning decisions are regularly made which seem to contradict planning policy. People will tell you how planning advice received from different planners in even the same planning authority can differ. Those who take the time to undertake pre-planning with a planning authority for a given development, regularly experience apparent changes of mind once a planning application is lodged (pre-planning consultations are held ‘without prejudice’ but this should not mean it is ok to lead people and businesses down the garden path). If planning is unpredictable, and it would be hard to convince many of those I work for that many An Bord Pleanála decisions can be exactly that (a roll of a dice, a bit random and other expressions are regularly used), people and businesses lose confidence in it. Planners should be able to give predictable advice. There are now national, regional, county and often local plans and national planning guidelines containing all relevant planning policies and standards in place to help planners in their assessments. Planners should do their best to ensure the advice provided to applicants/developers at all stages of the planning process is independent, accurate, unambiguous and professional. By professional, I mean opportunities to advise applicants/developers should be taken seriously. Pre-planning submissions, for example, should have been reviewed in advance and ‘all’ planning issues requiring attention then raised at the meeting. If the proposals are unacceptable and it is unlikely revisions will make much difference, this should be made clear. Too often applicants/developers lodge planning applications following detailed pre-planning only to find the planning department (usually more senior planners than those attending the pre-planning meetings) are opposed in principle. When a straight refusal arises from the lack of communication within planning departments, this can cause those employed to make a planning application - architects, private planners, engineers, etc. – to unfairly be effectively fired from a project, as the client will blame them not the planners. This should not happen. Planners should be facilitators, not inhibitors arising from bad pre-planning advice. Detail is very important at pre-planning. The applicant/developer team will know the proposals thoroughly and expect the local authority planner attending to have reviewed those proposals such that informed pre-planning can take place. Problem is, many planners consider themselves to be so busy that it is ok for them to turn up at a pre-planning meeting barely having looked at the pre-planning submission, it at all. The view would seem to be that we can address this when a planning application is lodged. But this is not how it is meant to be. Pre-planning should facilitate a scheme’s development to the point where it can be granted subject to conditions without delays arising for further information requests. The attitude should not be, well, if we missed something it doesn’t matter, we’ll just ask for further information when the application proposals are submitted. This causes the loss of time and increases costs for applicants/developers. It also makes planners seem as though they are flip-flopping; making it up as they are going along. I understand how busy planners can be. The work load can feel immense and staying on top of the detail in multiple planning applications at once, and meeting statutory deadlines, can seem daunting. Pre-planning submissions can be the last thing a local authority planner wants to be dealing with when up to the neck in already lodged planning applications. But that is what planners are paid to do and, if they do the pre-planning correctly, and the planning framework is correct, then the work needed to assess planning applications should be less, as they should be submitted in an almost fully planning compliant manner. Public sector planners can also forget that they should act in the public interest. They can find themselves toeing a corporate line which may diverge from what they would otherwise do. Some Irish local authorities are known to almost ask their planners to write a ‘for’ and an ‘against’ planning assessment when assessing a planning application and then one is chosen for them by senior management in consultation with councillors. In other councils, the lure of development contributions can be too much to allow a development which is contrary to proper planning to be refused. It is easy to say that planners should write one report which sets out their professional opinion and refuse to change this, but planners are employed in a hierarchy. Promotion follows those who follow the company line and stay in public sector planning for years. Local authority planners, like most employees, are often required to do what their employer wants. 1. A large employer or company moving into an area for a given development may need to bend established planning rules and this may be allowed because the county is desperate for them to choose their area over another. 2. Pressure from a large supermarket chain for surface parking around a new large store on a site within the centre of a town is at odds with planning policy which favours mixed use development (with little or no parking) of the same site. The council wants the supermarket and feels it must accept its development model. Planners have long acknowledged and sought to confront poor planning practice in the profession. Planners know all the problems, but are, on the larger issues, at the whim of politics to make the changes. For example, there is a need for the Office of the Planning Regulator to be set up (as per the recommendation of the Mahon Tribunal back in 2012) and there are promises it’ll be in place this year. It has been campaigned for by the Irish Planning Institute, the accreditation body for Irish planners. I hope this office will eventually ensure that planners never have to make a planning recommendation or decision, which is not in line with proper planning practice. The Planning Regulator should be able to ensure that all local authority and An Bord Pleanála decisions are subject to independent scrutiny. That is, are made in line with all relevant plans, policies and guidelines in place at that time. Decisions that seem at odds with proper planning practice will be independently reviewed. § permission should be granted having regard to the pattern of development and permissions granted in the area since the making of the Development Plan. Granting planning permission in circumstances where a statutory plan is to be changed to facilitate it is always controversial because such plans are produced (at least in principle) in line with the responses received from public consultation. By ignoring the plan or part(s) of a plan, a decision could reasonably be considered to be at odds with what the community wants. Decisions made in this way by An Bord Pleanála can be especially upsetting as unlike councillors voting for material contravention, Board Members never have to face an electorate after making an unpopular decision. It is a commonly held view that the Board should provide a detailed rationale when it decides not to agree with its own Planning Inspector that a planning application should be refused. Similarly, the Board should provide its rationale – in detail – when it is considering granting in the face of a local authority refusal because a scheme is non-compliant with a statutory plan. This rationale should be provided whether the decision is or is not in line with its own Planning Inspector’s recommendation. The Board has the power and it should explain why it is wielding it. Of course none of this would be necessary if every plan contained provisions for every development proposed and everyone agreed with content of plans and the content of planning applications. The problem is that they don’t. There is a need for those planners drafting statutory plans to work hand in hand with those assessing planning applications. You’d think this would be obvious; it’s not. Those assessing planning applications in local authorities (those not on the ‘Forward Planning’ team) tend not to be involved at all unless they need to take into account the content of a recently published draft plan in writing their assessment of a planning application. Issues which have arisen in the assessment of planning applications – zoning issues, site planning problems, infrastructure issues, etc. - can be lost entirely when the next plan is being drafted. Where issues have arisen that have prevented a site from being developed or a scheme has been refused. There should be some way for these issues to be noted on an internal land use maps such that these issues can be reviewed by the forward planning team once it starts work on the next plan for an area. For example, a tall building has just been refused at Tara Street Station in Dublin. This needs to be reflected in the next plan for the area. In this case it will be, it is a controversial site, but the same principle should apply to all sites that are zoned for development but development has not progressed. In this way, those applying the content of statutory plans should gradually help to modify zonings and site specific planning policies such that the right development is proposed for a given site. Another idea, and one not many local authority and An Bord Pleanála planners would like, is that planning departments could consider peer quality control mechanisms. In private planning, architecture, engineering and other relevant firms, peer quality control is almost standard practice. That is, I write a report for a client, a colleague of the same level then reviews the report and comments on it, changes are made, and then it is forwarded to a senior member of staff for signing off. More senior planners are very busy. They cannot reasonably be expected to find every minor issue with every planning report they are asked to sign. Every local authority and Board planner would benefit from having a colleague carefully review their work to try to identify any issues ‘before’ it goes to a senior planner for signing off. This way the role of the senior is not to correct the quality of the work but to decide whether he/she agrees with the assessment and recommendation. This extra stage would allow senior planners to concentrate on ensuring better decisions are made and not on ensuring every box has been ticked, every comma in the right place and that it reads ok. As things stand, there are brilliant planners assessing planning applications whose work is flawless and need hardly be reviewed before signing off, but there are those who use their senior planner to effectively correct their work as though they were back in school. Poor review works in the private sector and it would work in the public sector. There is a concern amongst the public that pressure, and political pressure, can brought to bear on planner’s recommendations during the report-writing stage. The most recent example of public disquiet about his is the reaction to Taoiseach Leo Varadkar’s comments on helping Donald Trump to achieve the refusal of a wind farm planning application. Local authorities and An Bord Pleanála must ensure there is no interference from any person or party during the planning report writing stage. The only means for a third party to take part in the assessment of a planning application should be by way of the official observation / objection / submission route. Phone calls, emails, faxes, conversations in corridors, unofficial meetings, etc. should not take place. If they do, they should be recorded. Obviously there are many actors involved in assessing a planning application within and outside a local authority or An Bord Pleanála, but each of these does so in a formal capacity (internal departments like roads and drainage and external bodies like Irish Water, An Taisce, etc.). There is a responsibility on each of these internal departments and external bodies to ensure their assessments and recommendations are not influenced by external pressure from politicians or by anyone else. Given how phone calls, emails and other informal contacts with planners and those providing reports to planners as part of the assessment of planning applications can undermine public confidence in the planning process, senior planners and managers need to do everything they can to protect the independence of staff. Not every decision a planner working for a local authority makes can be popular. Many are far from popular. In many cases entire communities can oppose a single planning application. Pressure to try to get the popular decision can be immense. This pressure must however only come through formal channels. I hope this article provides some explanation of why our planning processes often fail. Understanding these points is a necessary step toward trying to improve the system. The Irish Planning System has long been calling for a root and branch review of the entire planning system and there has been a recent review of An Bord Pleanála. Change is coming. Hopefully it will address some if not all of the above issues. The aim must be to try to achieve better planning outcomes for Ireland. To ensure that as many people as possible agree with the path planned for the sustainable future of the country. Planners must be part of the solution, but they can only be part. They need a solid and community-accepted planning framework of statutory plans and policies in which to work. All actors in the planning process need to be involved in improving the current planning system. Fundamentally, planners need to work harder to try to win community trust in their decisions. This can only be achieved by improving communication between those living in the area and those planning the future of that area. Planning applications should not come as surprises. They should be expected. Communities should know what to expect over a five, ten, twenty year horizons. But we are not here yet. Communities continue to be shocked at proposals being made in their areas. Planners must work to avoid this; not argue that people just don’t know what’s best for them. Planners should facilitate, not dictate.